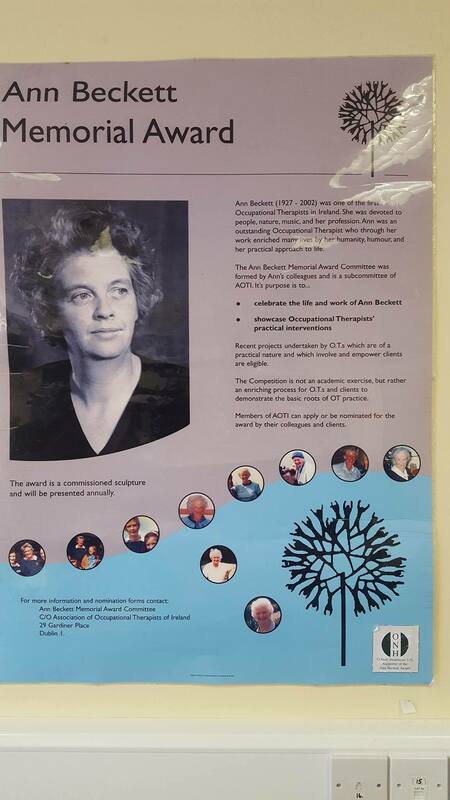 Wexford Mental Health association are proud to be associated with this year’s winners of the Association of Occupational Therapists of Irelands “Anne Beckett Award”. The Discover Recover Theatre Project. The project which was the brain child of Paula Lowney Occupational Therapist Wexford Mental Health Services, who in association with her work colleagues Mairead Connaughton Senior Occupational Therapist and Community Mental Health Nurse Niall Ó Muirí, set up the Discover Rec…over project by initially inviting people with a lived experience of Mental illness to come along and share their stories. 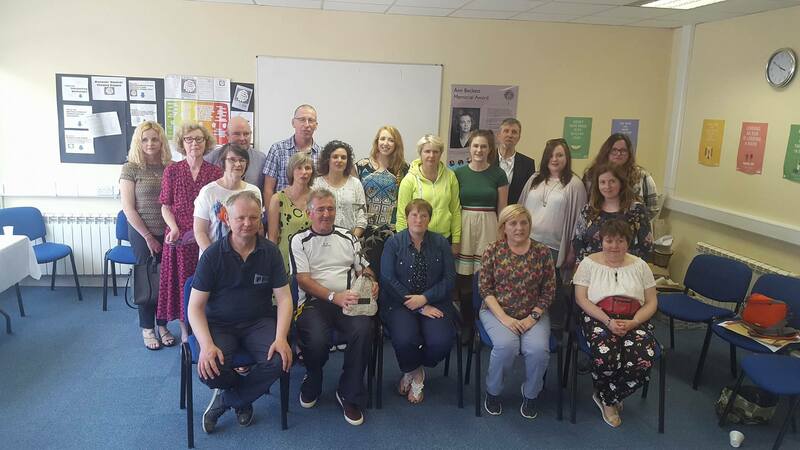 And through the shared stories the group developed a written piece of Drama which resulted in the development of the very successful play “A Face in the Crowd”. Following a very successful run of the play in Wexford Arts Centre. 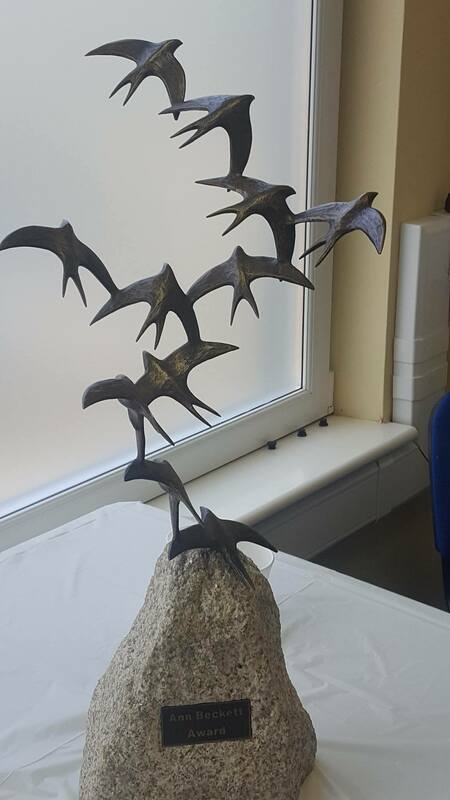 The group then brought the play and a series of mental health workshops into several schools in Wexford, with great success. Because of this ground-breaking initiative, the Discover Recover Theatre Group have been awarded this very prestigious national award for its community based initiative. 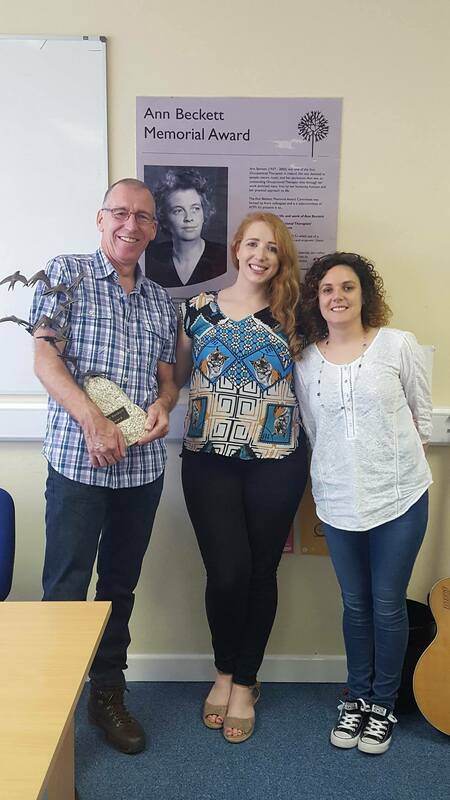 To celebrate the award, Wexford Mental Health Association hosted an afternoon presentation and photo opportunity in their office on Henrettia Street last Friday for all the wonderful storytellers and people who helped in so many ways with this great initiative.